The Kids on the Block Program provides school based prevention services which increase public awareness about the problem of child abuse and equips children with the skills to recognize and report such abuse and bullying and school safety. The program is approved by the Diocese of Covington as a Safe Environment Program. 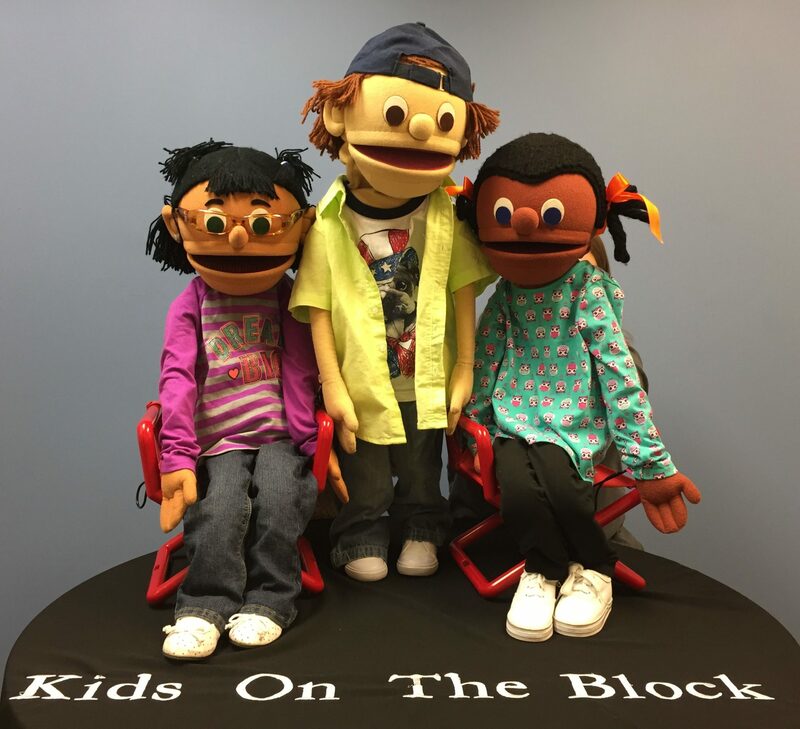 During the 2017-18 school year, the Kids on the Block puppets were seen by 22,676 children through 350 performances. Dynamic, interactive performances are provided using life size Kids on the Block puppets to educate children about child abuse and neglect. The program includes different programs in which the puppets discuss their “personal stories” regarding both physical and sexual abuse. Following the presentation, the puppeteers are trained to address issues related to child abuse and answer questions from the children via the puppets, so that children can clarify any information and gain additional insight into abuse. Children are provided with activity booklets that reinforce information provided in the presentations and are given a 24-hour abuse reporting number. An Educator’s Guide is provided to adults who view the program which includes signs and symptoms of child abuse and neglect, reporting procedures and suggestions for how to respond to disclosures. The Kids on the Block Child Abuse Education and Prevention program targets school age children, K through 5th grade. The program is offered to all Northern Kentucky schools and community groups for free in Boone, Campbell, Grant, and Kenton counties. Performances are available outside of these areas for a fee. 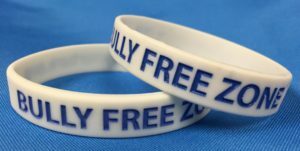 encourages children to be secure and confident in their own perceptions of right and wrong and to reject unacceptable bullying behavior in others. Performances are provided using three life size Kids on the Block puppets, Eddy Franklin, Clare Sanchez, and Melody James. The program includes two skits in which the puppets share their personal experiences with bullying. A bullying situation is examined and ways that the child being bullied can address the problem are explored. Ways in which children who witness teasing or bullying behavior can respond to help diffuse the situation are also addressed. 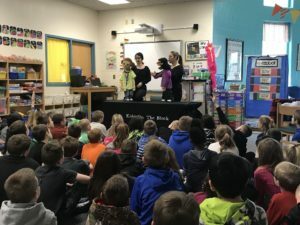 Following the presentation, the puppeteers answer questions via the puppets and ask students to share their ideas and suggestions. The Kids on the Block Program on Bullying and School Safety targets school age children, K through 5th grade. This program is available to a limited number of schools and community groups in the tri-state area for a fee. When Nam arrives at the Open House at school, he sees Stephen and his mother. Nam asks Stephen about a rumor he heard — that Stephen’s mom hits him really hard causing the scars on his arm and face. Nam is surprised by Stephen’s response. Stephen outlines the steps which were taken so he and his family could get help. Nam has learned a lot about child abuse but is still confused about what abuse is and is not. He interrupts Stephen’s homework session, thinking that his parents are doing “child abuse” to him. Stephen invites Nam over and helps him understand more about child abuse. This script features puppet characters Joanne Spinoza and Stephen Arthur. Stephen, who has been physically abused, understands Joanne’s confusion and fear when she tells Stephen how she told a trusted adult about her situation and how telling was the best thing she could have done. Major points made in the script include: if you are sexually abused, it is not your fault, your parents will still love you, don’t believe threats, if this has happed to you, you should tell someone about it, and you have a right to say no. Eddy is being harassed by a school bully and is unsure how to resolve the situation. When his friend, Clare insists he talk about it, Eddy lashes out in frustration. With Clare’s help, Eddy learns that problems with a bully are not something to be ashamed of or embarrassed about – nor are bullies a problem which must be dealt with by an individual. Melody is feeling badly that her friend Brenda was teased on her way home from school. She feels guilty that she wasn’t there to stop the situation. When Eddy asks Melody how her presence would have made a difference, she explains that bullies often target kids who appear to be “easy prey”. Melody demonstrates that “getting involved” and helping another person does not necessarily mean confronting the bully. Melody and her classmate, Eddy Franklin have volunteered to work on a student committee to help develop a school safety plan at Woodburn Elementary. They have enlisted the help of teen mentor, Clare Sanchez, who shows them that bullying and other school crimes can have a negative effect on the entire school population, not only the targets of those crimes. With the audiences help, the kids brainstorm ways to promote safety and reduce crime in their school. Request a Performance at your School Today! Fiscal Courts of Boone, Campbell and Kenton counties. Educated 22,676 children and 2,243 adults with performances. Presented 350 Kids on the Block performances. 16 disclosures of abuse were received and reported to the Cabinet for Health and Family Services. 78% of children completing pre and post test increased in their knowledge of ways to recognize, resist and report child abuse. 100% of teachers surveyed agreed that the performance was helpful to their students.